Buoyant demand from Chinese shoppers boosted the cosmetics giant’s sales and margins in 2018. The Lancôme owner’s growing 2.8 billion euro net cash pile may seem an unnecessary indulgence. But it will come in handy if Nestlé gives in to pressure to reduce its 23 pct stake. 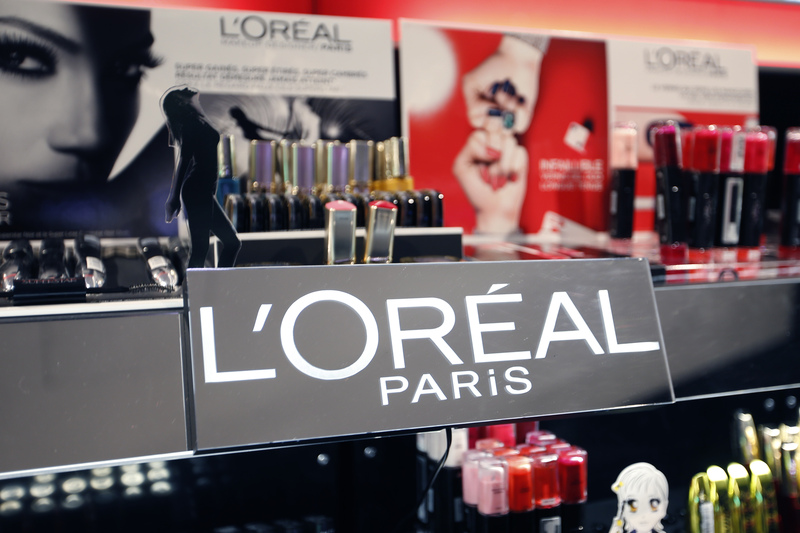 The logo of French cosmetics group L'Oreal is seen on a sales counter at a department store in Paris April 20, 2015. L’Oréal on Feb. 7 reported sales of 26.9 billion euros for 2018, up 3.5 percent on the previous year. On a like-for-like basis, excluding exchange-rate fluctuations, the French cosmetics group said sales grew by 7.1 percent, the fastest growth rate in more than a decade. Sales in the final quarter of 2018 were 7.1 billion euros, an organic growth rate of 7.7 percent. Its operating margin for the year expanded to 18.3 percent, which the company said was a new record, from 18 percent in 2017. The Asia Pacific region enjoyed the fastest growth, with like-for-like sales up 24.1 percent. Net cash flow was 3.9 billion euros, slightly lower than the previous year. Net cash was 2.8 billion euros, up from 1.9 billion euros at the end of the previous year. The board would propose a dividend of 3.85 euros per share, an increase of 8.5 percent. Swiss consumer giant Nestlé owns 23 percent of L’Oréal and is under pressure to sell it from activist investor Daniel Loeb, founder of hedge fund Third Point. L’Oréal has said it is ready to buy the stake. Earlier in the day L’Oréal shares closed down 0.5 percent at 216 euros.